Vestibular rehabilitation is known as a viable therapy for concussions. It worked to treat an injury incurred by 16-year old Shannon Kuczwaj. Despite wearing a helmet, she was hurt when she lost her balance while snowboarding and hit her head. Soon, Shannon experienced dizziness and headaches, and had difficulty concentrating — which are symptoms of a concussion. Shannon’s mother worried, because a schoolmate had recently suffered a severe concussion and was temporarily withdrawn from school. Ms. Kucwwaj was advised by a specialist that it was imperative to immediately address any problems causing concussion symptoms. Shannon stayed home from school for a few days and limited some activities (especially strenuous ones) to prevent the symptoms from getting worse. She also had vestibular rehabilitation therapy administered by a local physiotherapy clinic. What is Vestibular Rehabilitation Therapy (VRT)? Vestibular rehabilitation therapy is a specialized form of physical therapy. Its goal is to reduce various symptoms produced by vestibular disorders. When a patient has had a concussion, they can experience a lack of stability, imbalance, vertigo, and dizziness. VRT involves having the patient performing a series of exercises, which minimizes the symptoms. In many cases, due to the level of damage to the system, the amount of vestibular restoration is minimal. Compensation exercises are based on the use of other senses (e.g. touch and vision) that are used to substitute for the damaged vestibular system, and make the patient feel better. For the compensation to work, however, parts of the nervous system (like vision, somatosensory sensations, and the cerebellum) must be healthy. The process of compensation naturally occurs over time, but it depends on the patient. There are some patients whose symptoms persist and in order to promote compensation, they will need the help of vestibular rehabilitation therapy. One of the best things about VRT is that it takes into consideration every person’s specific problem or symptom. The therapist customizes compensation exercises that will help ease the symptoms of the patient. Therefore, patients must undergo specialized tests as well as a full examination before starting rehabilitation sessions. The patient may also need gaze stabilization, balance training, or/and habituation (read on for more information), depending on the identified vestibular problems. 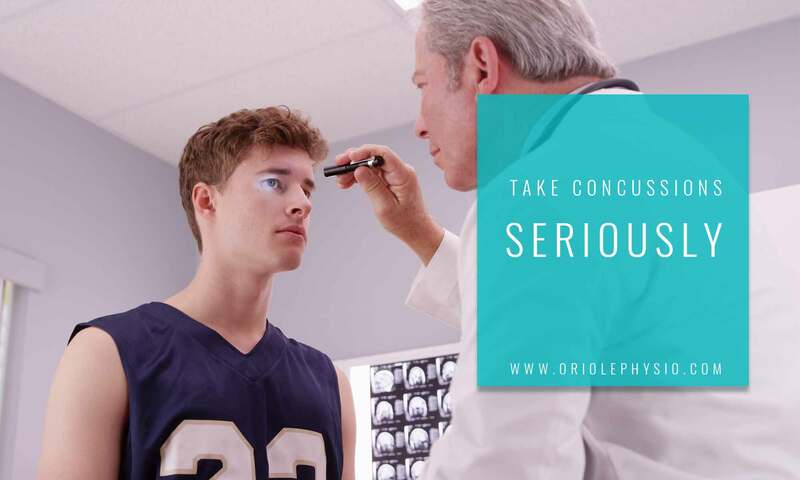 A concussion is defined as a “complex pathological process affecting the brain, induced by biochemical forces” and is a mild form of traumatic brain injury. In a general sense, a concussion is caused by a bump, blow, or jolt to either the head or body that causes the brain to move rapidly inside the skull. A concussion disrupts normal brain activity. How Can the Vestibular System Get Impacted in a Concussion? Our eye movements coordinate with our head movements through important visual-vestibular reflexes. One example is the optokinetic reflex, which lets us follow a moving object. Another example is the vestibular-ocular reflex, which helps the retina stabilize an image during head movements. After a concussion, changes in vestibular system function and brain processing impact these reflexes. 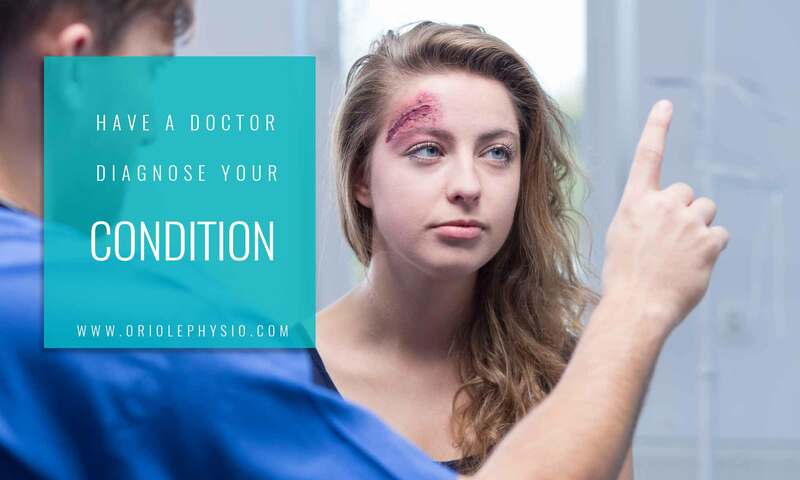 A specially trained physical therapist assesses vestibular function and determines the best treatment based on the identifiable symptoms of the concussion. Evaluation involves balance and vision testing that will gauge how the brain interprets the body’s movement. After evaluating the patient, the therapist will work together with them to determine the best course of action for the patient to return to their normal routine as soon as possible. Habituation exercises – These are used to reduce dizziness caused by visual stimulation or self-motion. This type of exercise is specifically for patients with increased dizziness due to position changes of the head, quick head movements, and rapid visual stimulation (such as watching a movie, going to the mall, walking over a shiny floor).Patients with spontaneously produced dizziness (which does not get worse with visual stimulation or head movements) do not have to do these exercises. Habituation therapy lessens symptoms of dizziness by repeatedly exposing the patient to visual stimuli, or specific movements, that provoke symptomatology. 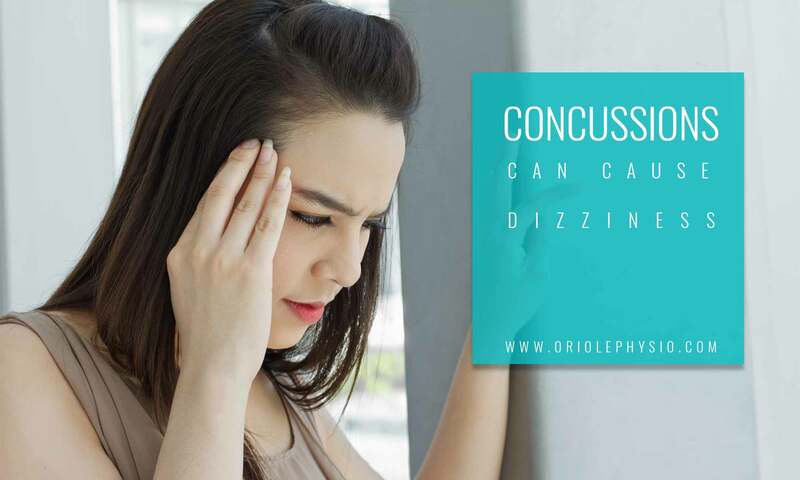 Levels of dizziness will temporarily increase, but with continued perseverance, they will eventually decrease after consistent brain habituation. 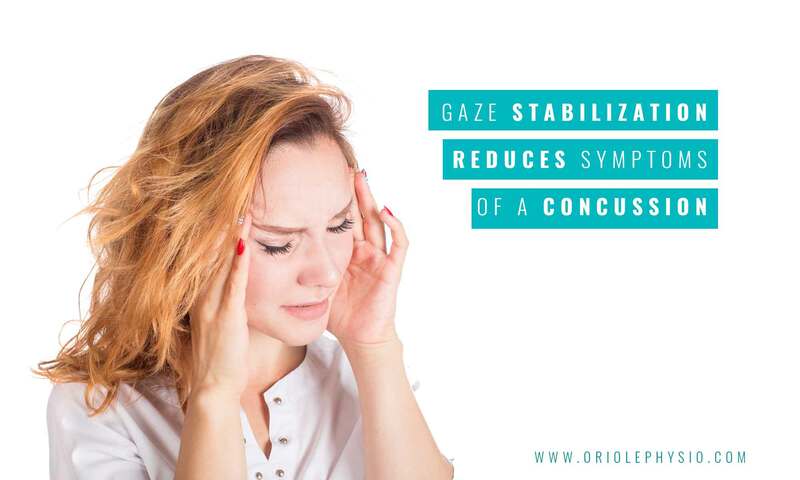 Gaze stabilization – This is another exercise that can help symptoms that are acquired from a concussion. These exercises are for improving eye movements to have better vision when the head is being moved. These are specifically for patients who have visual problems (such as identifying objects around them, or reading. )There are two forms of gaze stability exercises for patients with severely damaged vestibular function. The first one is based on using somatosensation and vision as substitutes for the damaged vestibular system. The other is based on fixating the eyes on a certain object while the head is repeatedly moving in multiple directions for several minutes. Balance training exercises – These are patient-specific and used for improving a person’s steadiness. These exercises are challenging, but safe and rewarding. Patients perform dynamic and coordinated movements, hold stationary positions, and complete a task while balancing. These exercises help the patient improve their ability to walk outside on uneven ground or in the dark. After doing these exercises, the patient will improve in reaching, turning, walking, running, standing, and bending. Vestibular rehabilitation therapy exercises are not difficult. In order to achieve maximum success, however, the patient must be involved and committed to doing them. Daily exercises increase the likelihood of improvement. Medical personnel will educate patients about rehabilitation therapy, helping them understand their vestibular disorder and symptomatology, as well as the rehabilitation process they are going through. An important part of vestibular rehabilitation is establishing an exercise program that should be regularly done at home. Following the home exercise program provided by the therapist will help a patient meet their goals. The brain needs thousands of repetitions for it to “inform” the body to get back to shape. Initially, exercises may make symptoms appear worse, but with consistent work and time, they will steadily decrease. Patients who sustained a concussion and actively participate in a home exercise program are more likely to return to normal everyday activities (like competitive sports, work, and attending school) faster than patients who don’t take their treatments seriously. Physical therapy, surgical intervention, behavioural changes, and the use of medication, can increase the success of rehabilitation therapy. In some cases, the patient will encounter emotional concerns, which can diminish the success of rehabilitation therapy. If this happens, psychological counselling can help the patient overcome symptoms caused by the concussion. 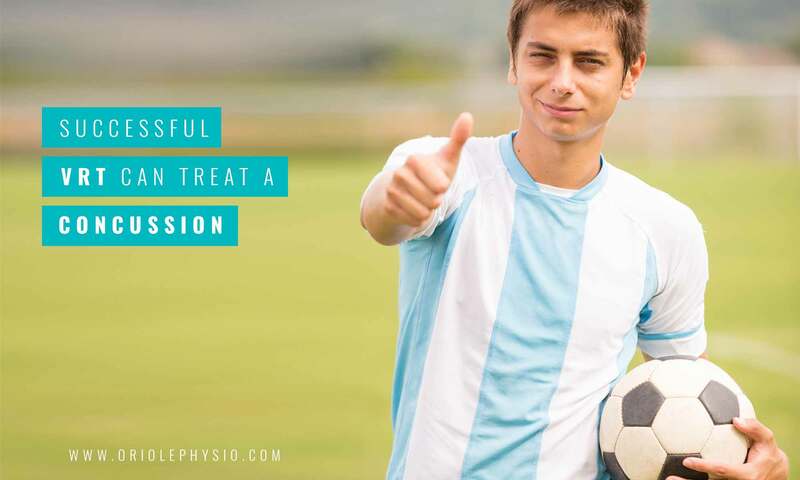 It is important for patients to have regular consultations with a physiotherapist even after fully recovering from a concussion. This prevents other health issues from occurring. Symptoms of dizziness may return, but doing exercises that improved mobility and balance in the first place can help sustain recovery. Have you recently had a concussion near North York or Toronto, or are you experiencing any of the symptoms discussed here? 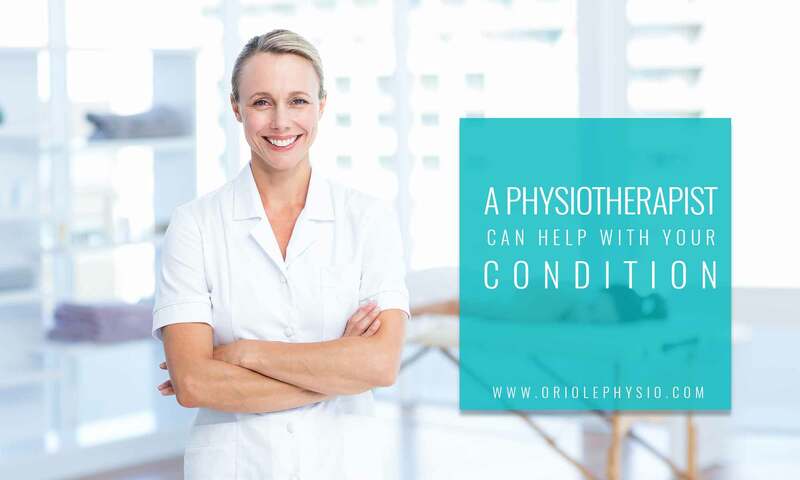 Oriole Physiotherapy & Rehabilitation Centre has qualified therapists who will take the time to create an individualized recovery plan for you. Schedule an appointment with us at (416) 221-0772.